If you like carrot cake or spice cake, you will enjoy this zucchini carrot bread recipe. It has that same moist and tender texture of a spice cake, a sweet tea cake personality (it's ideal for an afternoon snack) and warm mix of spices that smells amazing as it's baking. If you want to get the kids to come into the kitchen and ask what smells so good, this is the recipe to make. 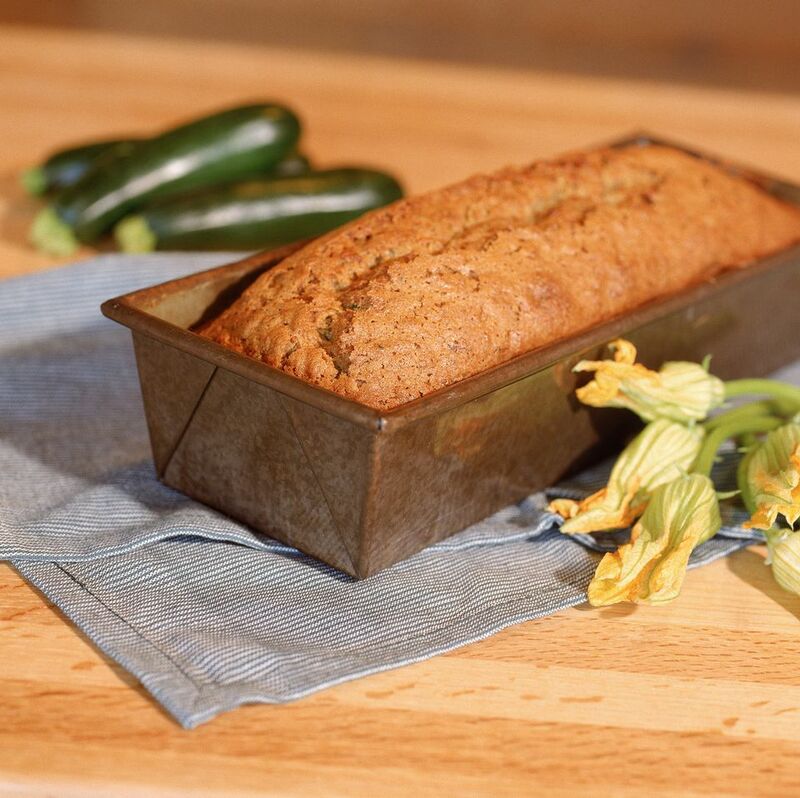 This zucchini bread also makes a great homemade food gift. And it's also a terrific way to use up that bumper crop of zucchini from your summer garden. Preheat oven to 325 degrees F. Grease 2 loaf pans (compare prices). Whisk together the flour, baking powder, baking soda, salt and cinnamon in a medium mixing bowl. Set aside. In a large bowl, beat the eggs, sugars, oil and yogurt together until smooth. Stir in the shredded zucchini and grated carrots. Fold the dry ingredients into the wet ingredients with a spatula or wooden spoon, until incorporated, but do not overmix. If you overbeat the batter, the zucchini bread will turn out tough. Stir in the raisins if you're using them. Divide the batter equally among the two prepared pans. Bake 38 to 45 minutes, or until a knife inserted in the center of the bread comes out clean. You may want to switch the baking pans halfway through cooking, if your oven is narrow or has hot spots. This will help the two loaves bake more evenly. This zucchini carrot bread freezes well. If you want to freeze it, wait for it to cool completely, then wrap in plastic wrap, then aluminum foil.